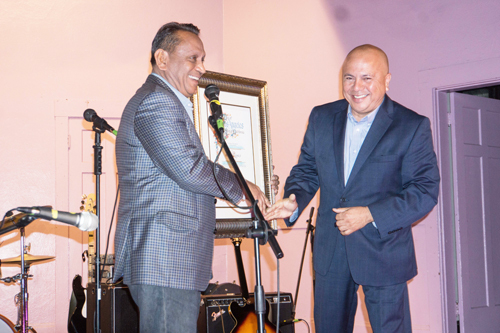 Former Los Angeles councilman Ed Reyes was honored by the Lummis Day Community Foundation at the groups’ annual awards dinner earlier this month at the 104-year-old Highland Park Ebell Club. The award was presented to Reyes by Councilman Gil Cedillo, who now represents the council district formerly represented by Reyes. “I applaud Ed’s expertise and his vision in helping to draw up plans for the Los Angeles River and his long service to the community,” Cedillo said when presenting the award. This year’s Lummis Day Festival, the 11th annual event, will take place on June 3, 4 and 5 at four Northeast L.A. locations: Occidental College in2 Eagle Rock the Southwest Museum in Mt Washington, Sycamore Grove Park and the area surrounding the York Boulevard & Avenue 50 park in Highland Park. Lummis Day, the prized Northeast Los Angeles Festival that draws thousands of people for a celebration of the famed author it’s named for as well as other local treasures turns 10 this year. It’s also growing to include more sites – including Mariachi Plaza in Boyle Heights, and tributes to other great contributors to local culture. 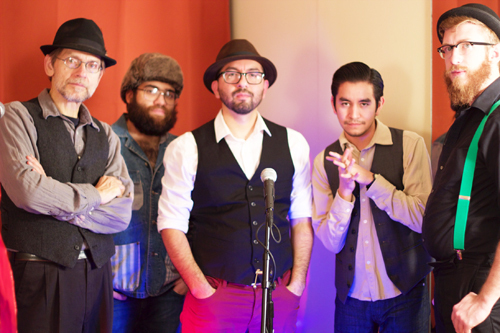 —Friday, June 5, Mariachi Plaza in Boyle Heights, 4:00pm-8:00pm (in cooperation with the Boyle Heights Farmers Market). Music, dance, poetry and theater. —Saturday, June 6, Southwest Museum in Mount Washington, 10:00am-4:00pm (in partnership with the Arroyo Arts Collective). Art exhibits, a tribute to the late artist, mentor and printmaker Richard Duardo, poetry and music. —Saturday, June 6, York Park in Highland Park, 2:00pm-6:00pm. Opera, dance, jazz and rock music. —Sunday, June 7: Lummis Home in Montecito Heights, 10:30 am-5:00pm: Poetry, music, crafts exhibits. —Sunday, June 7: Southwest Museum in Mt Washington, 12:noon-5:00pm: Art exhibits, music. —Sunday, June 7: Sycamore Grove Park in Sycamore Grove/Highland Park., 12 noon-7:00 pm. Music, dance, puppets, storytelling and other family activities. A complete schedule of events for all sites, parking information, and the location of shuttle bus stops and bicycle racks will be available at www.LummisDay.org/.